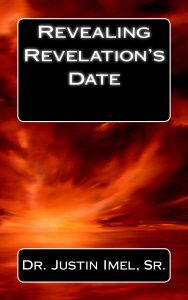 Revealing Revelation’s Date | Kindle | 99¢ | Dr. Justin Imel, Sr. Revelation is undoubtedly the most difficult book in the New Testament. Many forget the book was given to John in symbols and seek to take far too much of the book literally. Just as there are many ideas about interpreting Revelation, there are many ideas about when John was given the Apocalypse. While most argue for a date during the reign of Domitian, in this short work, Dr. Justin Imel, Sr., argues for dating the book during the reign of Galba (9 June 68—15 January 69).